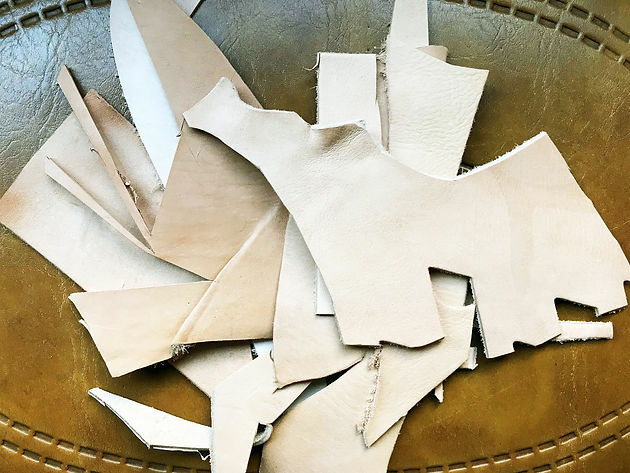 Have some scrap leather that you just can't bring yourself to throw away? Or some nice scraps of felt? 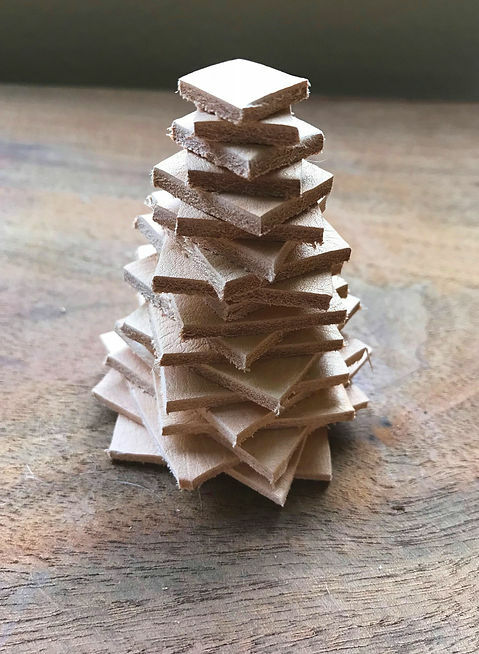 Try making these super easy stacked leather Christmas Tree Ornaments. 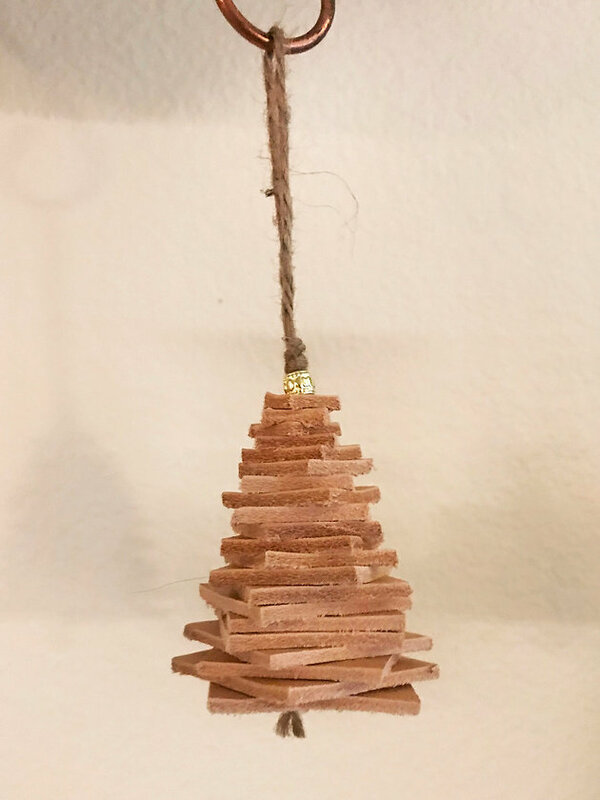 These are a great gift or addition to your tree! 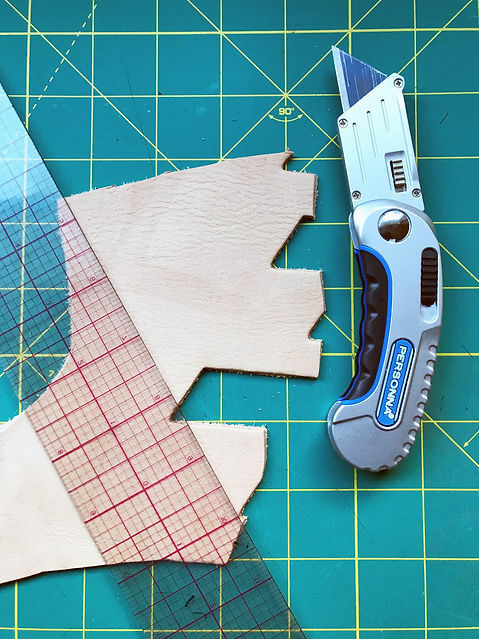 Cut your leather squares. 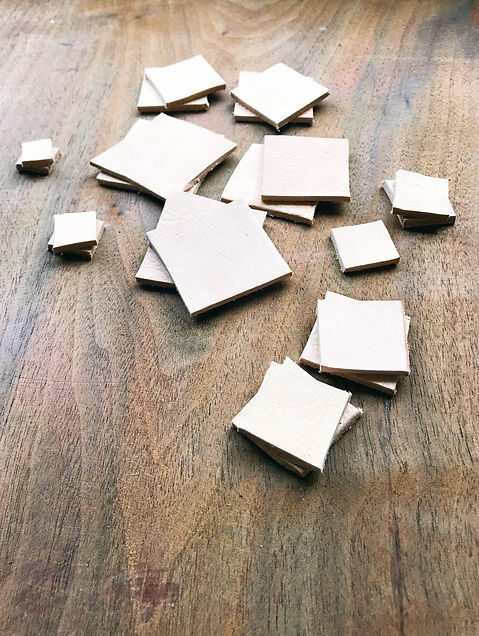 These do not have to be perfect squares - these look great with some wiggly cuts. 1-1/4", 1-1/8", 1", 7/8", 3/4", 5/8", 1/2", and 3/8". Stack the squares in the correct order to check that you like the shape of the tree. Punch a hole through the center of each square. Make a loop with your twine (or string of choice) and tie a knot. 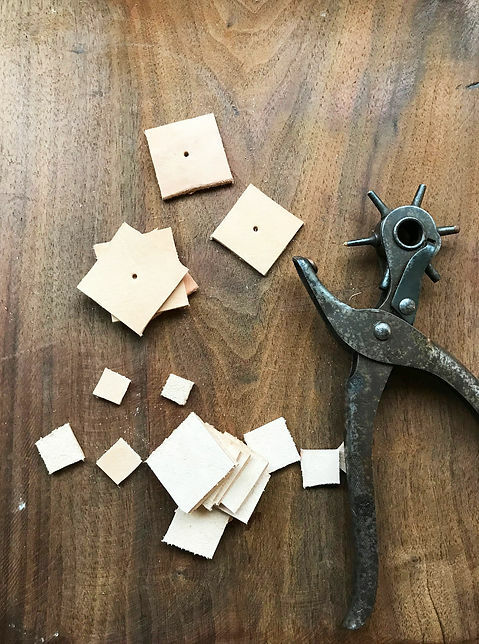 Place a gold or silver bead at the knot and start threading your leather squares in order from smallest to largest. 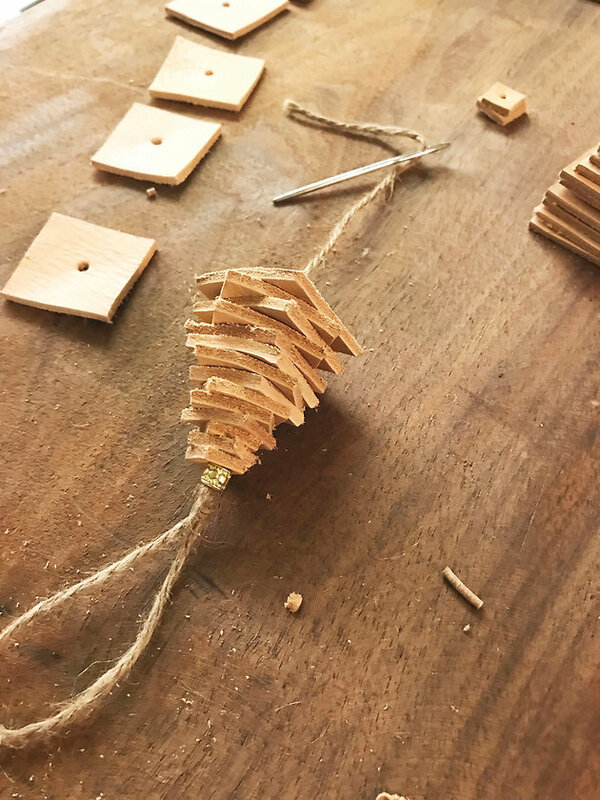 Tie a knot at the base of the stacked leather - pull the twine very tight to make sure the knot is flush with the base of the stacked leather. Trim the excess twine. And voila! You have an ornament! Before you throw your scraps away, remember, there's always something fun you can make with them!